JJacob Rozendal was born in Havelte in 1852 and married there Schoontje Glazer, born in 1857, also in Havelte, on 28 February 1878. They soon moved to Meppel. The couple had seven children: Saartje, Jettje, Lezer, Jacob, Klazina, Aleida and Vrouwgien. 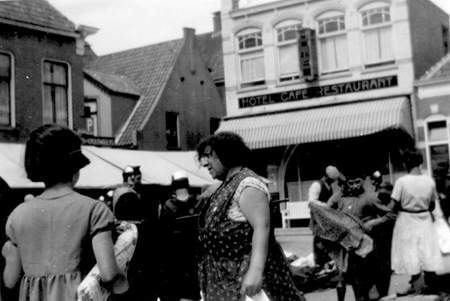 Four of them were still living in Meppel at the beginning of the war: Jacob, Jettje, Vrouwgien and Aleida. I always carry with me a small photograph, which was taken in 1938, when we were eighteen years old. Henk has a cigarette in his hand and Jacob is smoking a cigar. What a time we had, in the prime of our lives and then I think of Jacob: five years later he was gone. I remember that Jacob had to go to the former Jewish school on Wednesday evenings. The windows were so high, that we had to climb on each other’s shoulders to be able to look in through the windows. Jacob was such a nice boy. After the German invasion, difficult times lay ahead for the Rozendal brothers and sisters who were still living in Meppel. Especially Jacob’s family would have most problems. 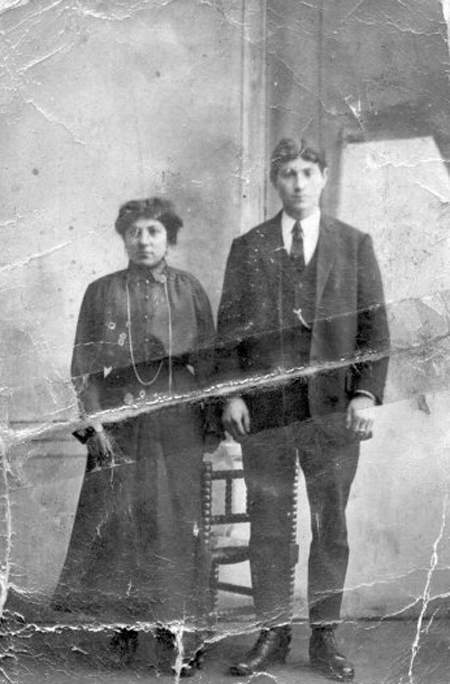 The Germans were also able to find Jettje and Leida, who both had mixed marriages. 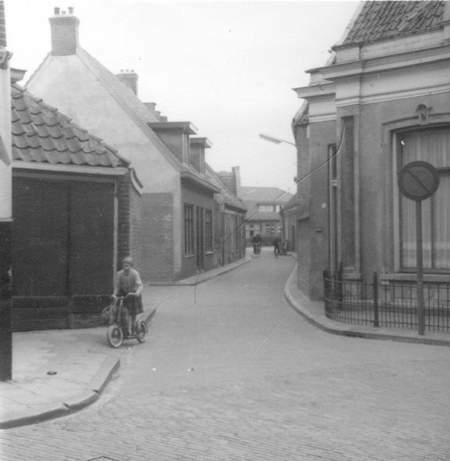 Jacob Rozendal lived in Hagendwarsstraat until 1938 and then moved to Noteboomstraat (number 49) where he had a textile company. Jacob had a small shop next to the house. He would sell his goods on the markets, and he would visit farmers who needed textile goods. Sophia Rozendal-Bos shopping on the market in Meppel. Already before the war Jacob had an old Ford to be able to do all his business activities. His son Jacob Salomon would definitely have followed in his father’s footsteps if the Second World War had not come in between. At the beginning of the war he had to go into the army, where he served with the 19th Infantry Regiment. After he had been captured and released again, there were not many possibilities left for him. In November 1940 he left for Borne, because he had met a girl there. He lived there with Widow Aaltje van Gelder, her son Arnold Israël, his wife Rosa Dina Bos (an aunt of Jacob’s) and their son Karel. They lived on Aanslagweg (Assault road)! The Van Gelder family had a drapery there and Jacob helped them in the shop. The widow and Jacob were killed in the war, the others survived. For which girl he came to Borne we do not know (yet), but the only Jewish girl of about his age was Cientje Anna van Gelder, a niece of the Van Gelders with whom he lived and a great-niece of the Van Gelders in Meppel. She survived the war. During the war father Jacob was thrown out of his company. All his merchandise was removed from his house and, of course, his car and bicycle were taken. It was now his turn to be expelled from his house. Even though he had a delicate health, he still had to work hard at camp Orvelte. On 20 July 1942 he was taken to hospital in Meppel, after having serious problems with his diabetes. Unfortunately, the police came to get him, and despite the efforts of his doctor, Engbertus Johannes Roelfsema, who tried to keep him in hospital, Jacob had to go. Together with the police officers he went to his house on Noteboomstraat to put on another suit. He would never return to Meppel again. 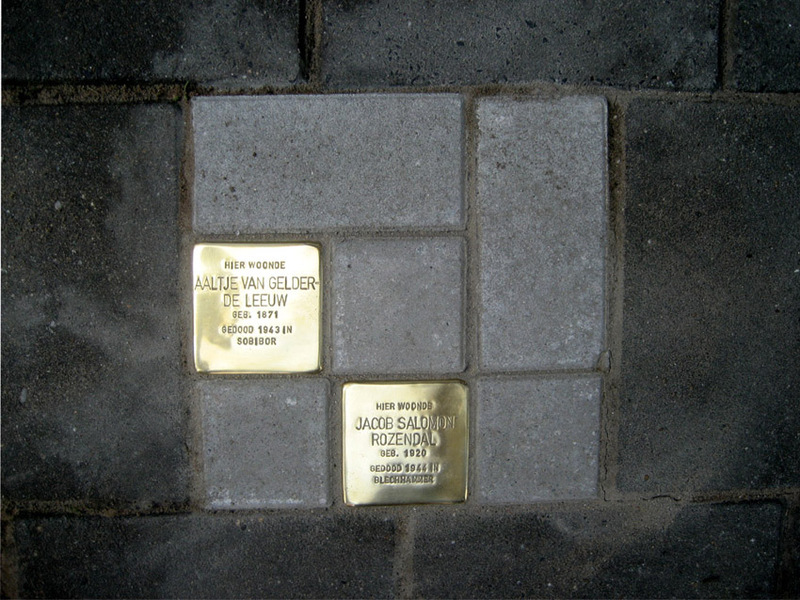 On 3 October Jacob was transported from Orvelte to Westerbork. By the end of 1942 he was probably deported. He died on 31 December 1942 in the work camp Blechhammer, allied to Auschwitz. It is quite possible that he may have seen his wife and son in Westerbork for a short time. On 3 October Sophia was transported to Westerbork, together with 171 other Jews from Meppel. She stayed there for only two days, because on 5 October she was deported to Auschwitz, where she died on 8 October 1942. Jacob probably went with her to Auschwitz and from there to Blechhammer, where he had to work. Jacob Salomon Rozendal, son of Jacob and Sophia Rozendal. 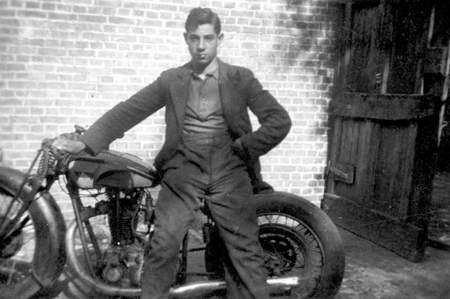 Son Jacob Salomon was picked up from Borne and came via Westerbork and Auschwitz like his father to Blechhammer. He probably knew about the death of his father, and without any doubt he knew that his mother had been gassed. Yet he had to go on and he managed to do so until 27 September 1944, when at the age of 23, he died , all alone, far away in Poland. The Rozendal family lived in the first house on the left at 48 Noteboomstraat.